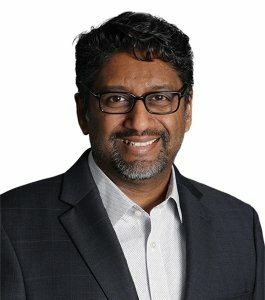 Darshan M. Jain is the director of mathematics and computer science at Adlai E. Stevenson High School in Illinois. Previously, he served as an award-winning mathematics teacher as well as as a curriculum team leader. Darshan M. Jain is the director of mathematics and computer science at Adlai E. Stevenson High School in Lincolnshire, Illinois. In his role, he focuses on articulating a pathway for implementing standards-based grading within mathematics programs, supporting teachers’ implementation of high cognitive tasks, and building strong collaborative learning partnerships between teachers and teams across grades 7–12. Previously, Darshan served as an award-winning mathematics teacher as well as a curriculum team leader. He is the recipient of the 2010 Golden Apple Award for Excellence in Teaching and the 2013 Presidential Awards for Excellence in Mathematics and Science Teaching. In addition, Darshan has extensive experience in developing and leading adult professional learning. He has spoken at various local, state, and national professional organizations, including North Suburban Mathematics Council, Illinois Council of Teachers of Mathematics, National Council of Teachers of Mathematics (NCTM), and National Council of Supervisors of Mathematics. He has served on NCTM’s Research Agenda Committee and has been committee chair for Students Exploration in Mathematics. Darshan received his bachelor of science in mechanical engineering and master of science in teaching secondary mathematics education from the University of Illinois at Chicago. He has also earned a master of arts in educational leadership. He is currently pursuing a doctoral degree in education policy, organization, and leadership.